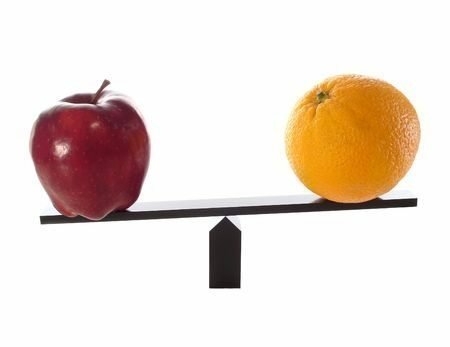 URS vs. UDRP: What is the Difference? As an alternative to the Uniform Domain Name Dispute Resolution Policy (“UDRP”), the Internet Corporation for Assigned Names and Numbers (“ICANN”) introduced the Uniform Rapid Suspension System (“URS”) in 2013, which serves as more streamlined and less expensive approach to recover a cybersquatted domain name. After several years following the implementation of the URS, the UDRP remains the preferred option based on the number of filings for each. However, what process is right in your case will depend on the specific variables particular to your case. Let’s review some of the differences between the URS and UDRP processes. The URS is limited to “new” generic top-level domains (“gTLDs”) following ICANN’s 2012 application process, which does not include many common gTLDs such as .com or .net. The exceptions to this are the domains .travel, .cat, and .pro, which have adopted the URS in renewals of their registry agreements. Only two country codes, .pw (Palau) and .us (United States) have adopted some variation of the URS. While both the URS and UDRP are options for these “new” gTLDs, the UDRP is the only option for the older “legacy” gTLDs. (3) that is specifically protected by a statute or treaty in effect at the time the URS complaint is filed. Additionally, trademark owners must prove the registrant has no legitimate right or interest in the domain, and that the domain was registered in bad faith. Under the URDP procedure, the standard is more relaxed and only requires trademark owners to show that is more likely than not the domain was registered in bad faith and with no legitimate right or interest from the non-trademark holder. On top of the high burden of proof, trademark owners in a URS proceeding are limited to a small 500 word-count explanatory statement, making it difficult to meet the burden of proof with limited space to craft factual and legal arguments. In contrast, URDP proceedings allow for a complaint of up to 5,000 words, with options to correct inadequacies, and allow supplemental findings, while no such provisions exist under the URS. Additionally, the URS requires that unregistered trademarks are not protectable unless they’ve been validated in court proceedings or protected by a statute, whereas URDP proceedings are accessible to common law trademark holders. When selecting whether to proceed under the URS or UDRP, the effectiveness of the remedy is a top consideration for registered trademark holders. Even if a trademark owner meets the high standard required to satisfy the URS, the remedy may not be considered adequate. The URS only allows for suspension of the domain name for the remainder of the registration period, with an option to extend the period by a year. Once the registration expires, the domain is again up for grabs, potentially allowing another cybersquatter to claim the same domain, which starts the process over again. Decisions are also subject to appeal to a URS panel for up to 6 months, with an option for an additional 6 months available, which can potentially lengthen the “speedy” option. Under the UDRP, a successful trademark owner can have the domain registration either transferred to their control, or canceled, with appeal to a federal court under the Anti-Cybersquatting Protection Act (ACPA) being the only way to continue the dispute. Despite the price difference (URS proceedings start at almost $1,000 less than UDRP proceedings) and time different (URS decisions typically take seventeen days versus two months under the UDRP), many domain registrants still find the UDRP to be the best option for attempting to resolve domain dispute cases. If you have questions about whether the URS or UDRP is right for your cybersquatting issue, contact a Traverse Legal attorney today to discuss your options.